In case you were wondering what Spiegelworld's Vegas Nocturne might be like when it premieres at The Cosmopolitan buzzworthy interactive nightlife concept Rose. Rabbit. Lie., wonder no more. Vegas Nocturne, the anchor live entertainment at Rose. Rabbit. Lie., brings together an ensemble cast of the best talent the world has to offer. Elusive, intriguing and unexpected, the show experiences unfold over the course of the evening. Vegas Nocturne does not live on a stage or with the rise and fall of a curtain. Rather, it is woven through the guest's entire experience, a unique balance of choreographed and unscripted dramatics deeply ingrained with live, unconventional music that leads watchers on a new journey through each scene. Also available at Vegas Nocturne are signature cures for ablepsy, aphonia, black vomit, bronze john, carbuncles, cow pox, decubitis, dropsy, epitaxis, ferret face, foramen of the scrotum, grocer's itch, hematuria, inanition, jaundice, kink, leprosy, lockjaw, mania, morphew, nettle rash, pachyderma, purples, quinsy, rickets, screws, scurvy, thrush, tympany of the testicles, venesection, water on the brain, womb fever or zarkanaplasty. As if that weren't enough, Vegas Nocturne has hired legendary contortionist Captain Frodo as anchor of their show. Incidentally, Captain Frodo is holder of not one but TWO entries in the the Guinness Book of World Records for sword swallowing. Seriously. Most Sword Swallowers Swallowing the Same Object Simultaneously and Single Sword Swallowed by the Most Sword Swallowers. 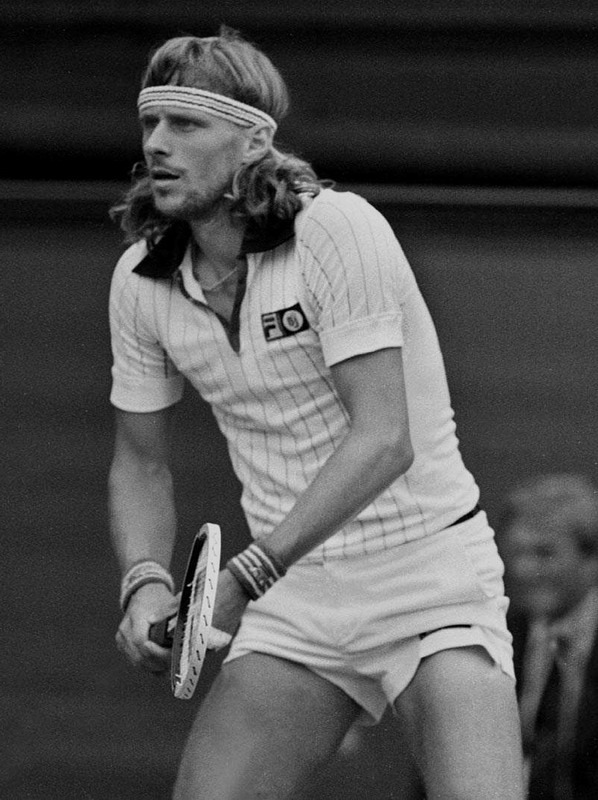 Here is his Bjorn Borg inspired "tennis racket routine." Definitely makes me want some tapas! This is not what I want to see while I'm drinking. Well, this is a first. I actually clicked off one of Chuckmonster's posts. Why would I pay money to see this???? Isn't the cure for all of those diseases heroin? I was already planning to check out Rose.Rabbit.Lie. when I'm out there in May, and this seems to fit right in with the craziness that Spiegelworld puts into their productions. They take traditional circus/sideshow acts and present them with a modern twist/take on them. It might work as a novelty road show, but I'll be extremely surprised to see it last more then 3 months on the strip. Granted it's at a higher class venue, then some of the previous attempts, but didn't Oshea's try a couple of similar style shows with rousing failure? Wow. Looks solid after chomping down a bag of mushrooms. Jinx73- you need to go see Absinthe, and you'll change your opinion. These guys know what they're doing.